What Is a Single Premium Deferred Annuity (SPDA)? If you find yourself with a large sum of money, a Single Premium Deferred Annuity (SPDA), despite its long and complicated name, is an option for guaranteed payments over a period of time. First, an annuity is a product that guarantees a steady stream of payments regardless of the market. As you pay into the annuity, the insurance company will invest the funds into the market. Depending on the contract, you may also have a say in how those funds are invested. Often, annuities come with monthly payments and just like some IRAs or 401(k)s; the proceeds grow tax-free until the person begins taking distributions of the funds. They’re often used to guarantee a monthly stream of income regardless of market conditions. Think of an annuity kind of like a pension. Now, let’s go back to the beginning. A single premium means that there is only one payment—a large sum of money. A person might elect to start a SPDA because they received an inheritance, a 401(k) with a large balance became moveable when the person separated from their employer, they sold a business or some other event that resulted in a large sum of money. Depending on the annuity, some will have a minimum investment of around $5,000 or well into the millions. A deferred annuity is one that doesn’t start paying right away. You would first fund the account and then later, at a time of your choosing, would start receiving payments. 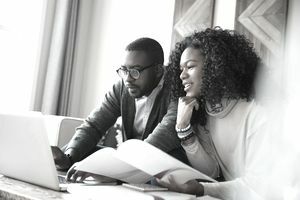 Because annuities are often tax-deferred, they come with the same rules as other retirement accounts that receive this favorable tax treatment. You will have to wait until you’re at least 59 ½ before withdrawing funds or you will pay a 10 percent penalty on top of the ordinary income taxes that come with the withdrawal. Deferred annuities also come with guarantees. Generally, even if the market has a bad year, your account will not lose money. The least you can receive is nothing. There are no negative returns. The price for that guarantee is the loss of some upside. If the financial markets have an incredible year, your gains may be capped at a certain amount, and the insurance company keeps the rest. Also, be aware that annuities of this type have surrender penalties that encourage you to keep the money invested for a long period of time. If you have to withdraw funds within the first ten years, or whatever the insurer writes into the contract, you will pay a surrender fee. Some insurers will allow a free withdraw of a certain amount and/or lower the surrender fee each year until it goes away completely. Finally, deferred annuities include a death benefit that guarantees that the beneficiaries receive the principal amount plus any gains. They cannot receive less. Use a SPDA to create a guaranteed, steady stream of income later in life. This guarantee makes financial planning much easier because you eliminate the risk of the financial markets crashing not long before you retire or other unforeseen risks like a health or other event that keeps you from paying into the annuity. Your financial adviser will love this guaranteed payment because they can create a plan that easily forecasts your monthly income and the tax consequences that come with it. Annuities are a polarizing topic in the world of financial planning. Some advisers love annuities for all the reasons above—mainly because it provides guaranteed income at a time when many will be unable to work should their financial situation become challenging. Other advisers argue that because an annuity is an insurance product, it should be treated as such. The person should pay a monthly premium to protect against loss, and the wealth creation that comes from smart investing should come from investment products. If the person has a large sum, and they want to see it grow and become a main source of income later in life, why not create an IRA and invest it with a level of risk that is appropriate to the investor? Arguments like these come about because some annuities have high fees compared to some investment products. Although the SPDA isn’t generally hard to understand, there are different types of policies and numerous financial considerations that come with choosing annuities over other financial products. Work with a trusted financial adviser to see which is best for our unique financial situation.